The programme started on Friday and will continue till February 7. It has been jointly organised by the Indian Yoga Association and Parmarth Niketan, in association with the state Tourism Department and Incredible India and the Union Ministry of Tourism, officials said. The seven-day Yoga Kumbh is being held on the banks of the 'Sangam' at the Parmarth Niketan, Ganga Action Parivar (GAP), GIWA Kumbh Camp, Sector 18. 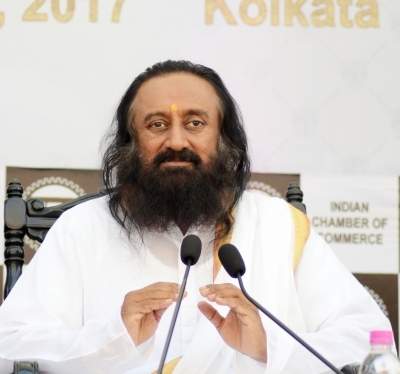 Art of Living (AoL) Founder Sri Sri Ravi Shankar and yoga guru Baba Ramdev attended the morning session. Exhorting people to take up yoga, Ravi Shankar said: "Yoga fills our life with music. We are here as for unity amidst the diversity. The purpose of yoga is to lead us to the state of 'Sangam' (confluence) within us, where every moment is yoga." While leading a special 'asana', he also said that instead of selfie point "let us realise that the self is the point -- the source of all consciousness". Ramdev in his address to hundred of yoga enthusiasts, said: "Yog Kranti (the Revolution of Yoga) is the core of all revolutions and by practising yoga every day and doing 'Karma Yoga' throughout the day the potential and infinite light that we truly are is unleashed." At the completion of the session Swami Chidanand Saraswati pointed out that at the Saturday's event "there is convergence and oneness on the banks of the sacred Sangam that in itself holds the nectar of immortality".